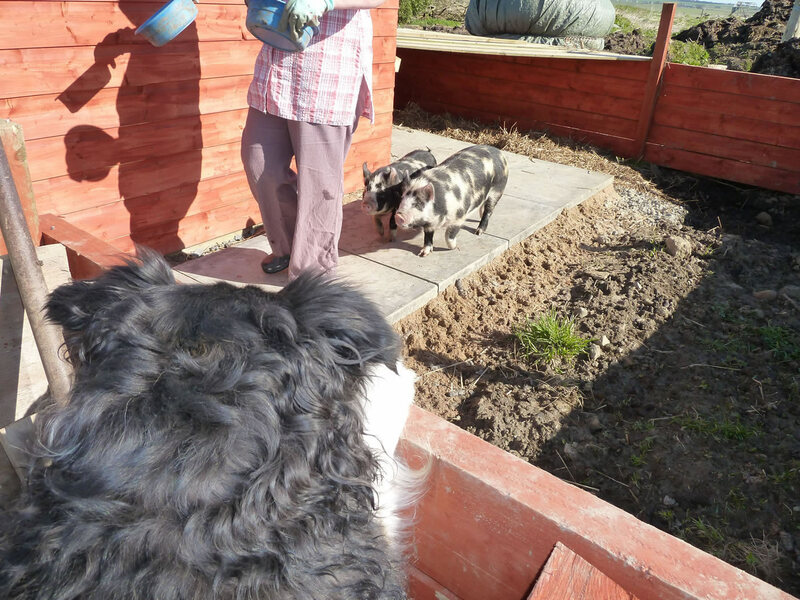 Our collie, Tibby, watching the young pet pigs when they are following their "mum" who has their breakfast. 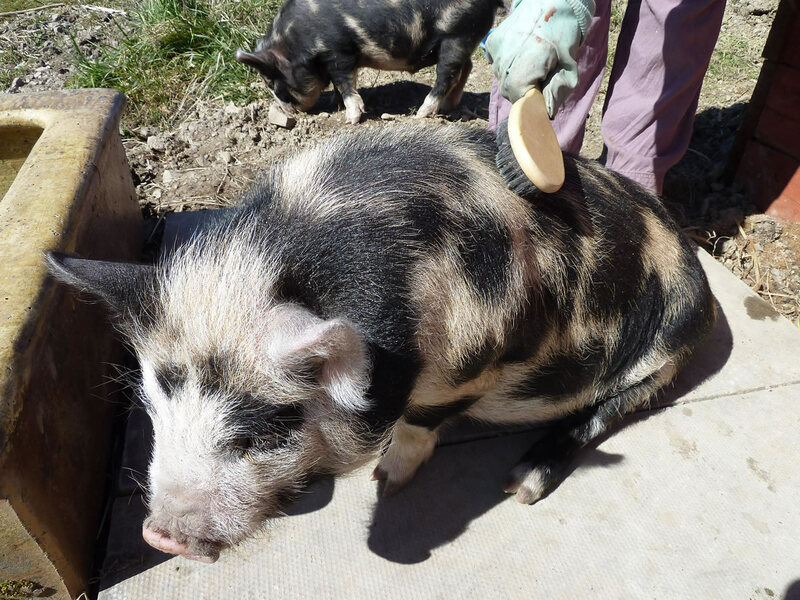 Kunekune pigs love getting brushed and when they are older they also need to be oiled with pig oil, this helps keep their skin in good condition and helps when they lose their hair - the pig oil can be purchased from local agricultural suppliers or online at Amazon. 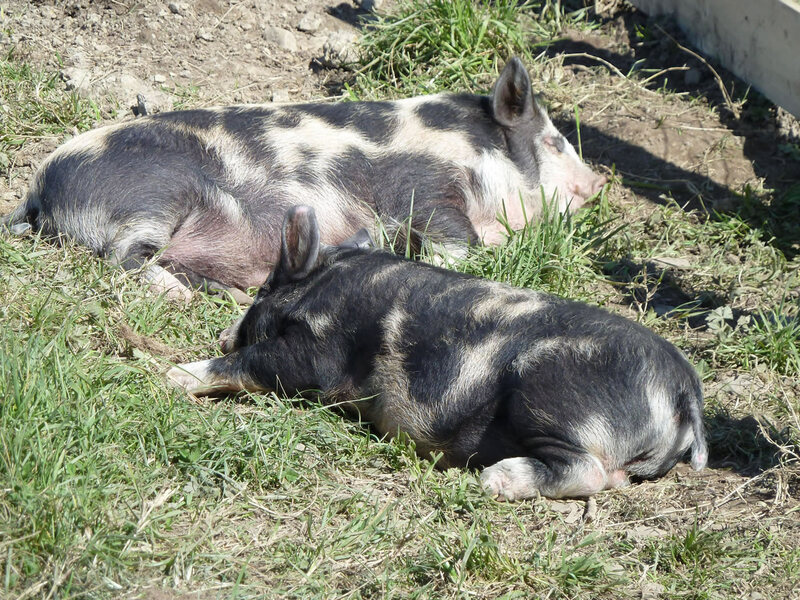 Pigs are very clever animals and having toys to play with is beneficial to their welfare. 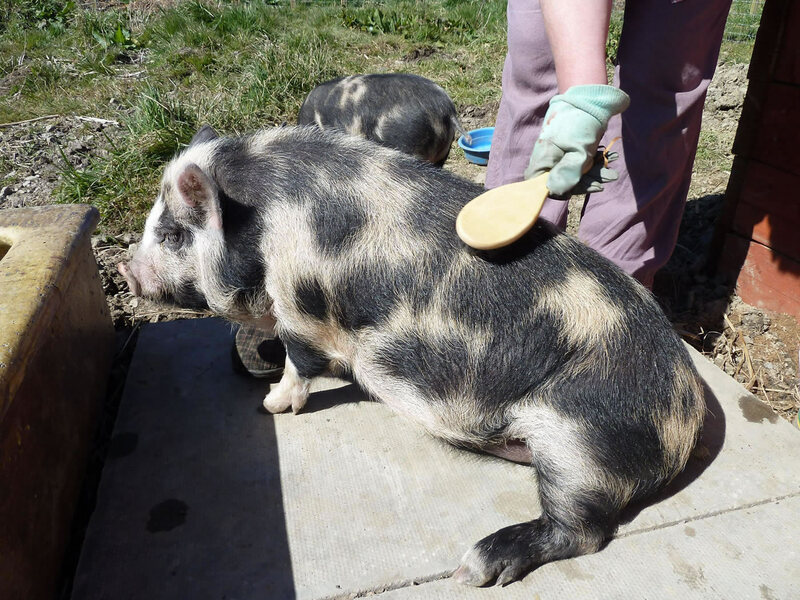 We gave them some squeaky dog toys as well as rope toys they could carry around. 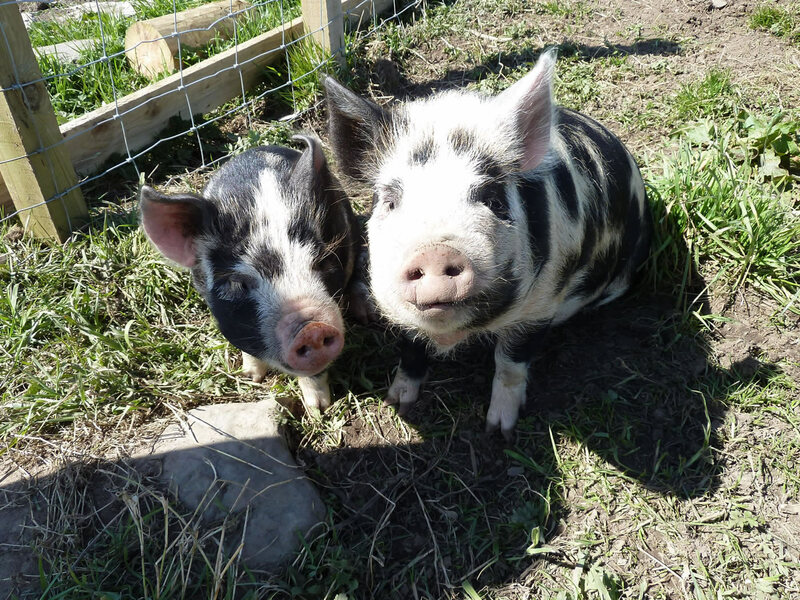 Our two young pigs waiting for their dinner to be served. 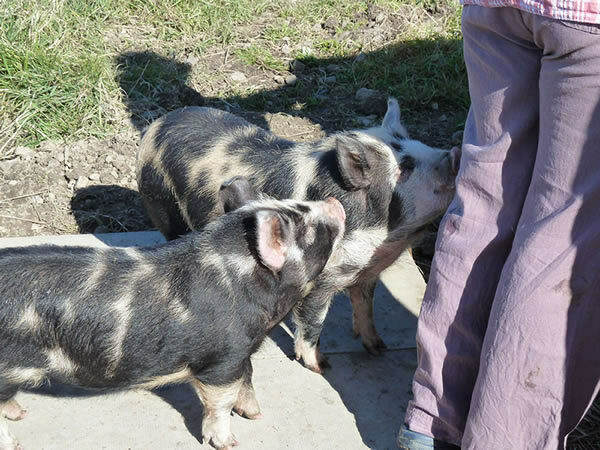 They were incredibly well behaved when waiting for their plates of food to be put down to them. 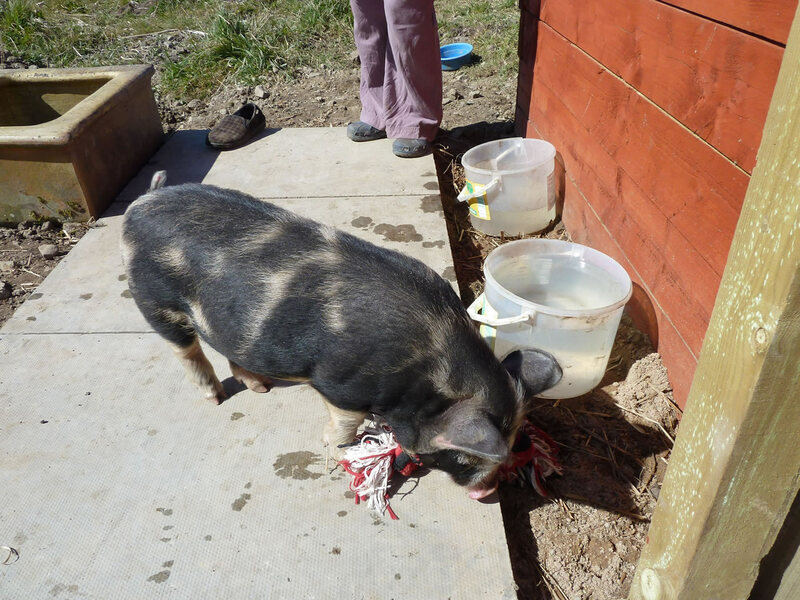 We initially fed the two boys out of plastic dog bowls, unfortunately they did tend to spill the food onto the ground - not really a problem for them, just a bit of a mess if the ground was wet. 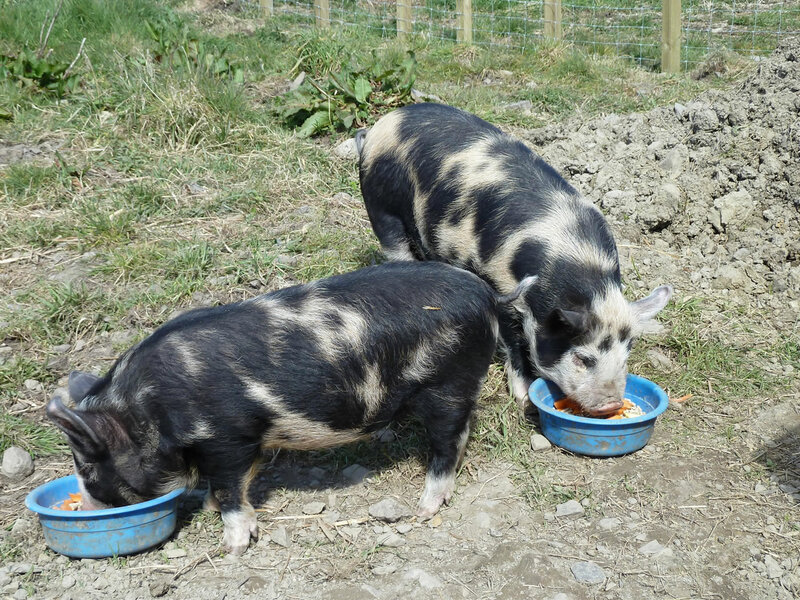 Our two young kunekune pigs doing a site while waiting for a treat, probably of banana, which they loved (and still love) to eat. 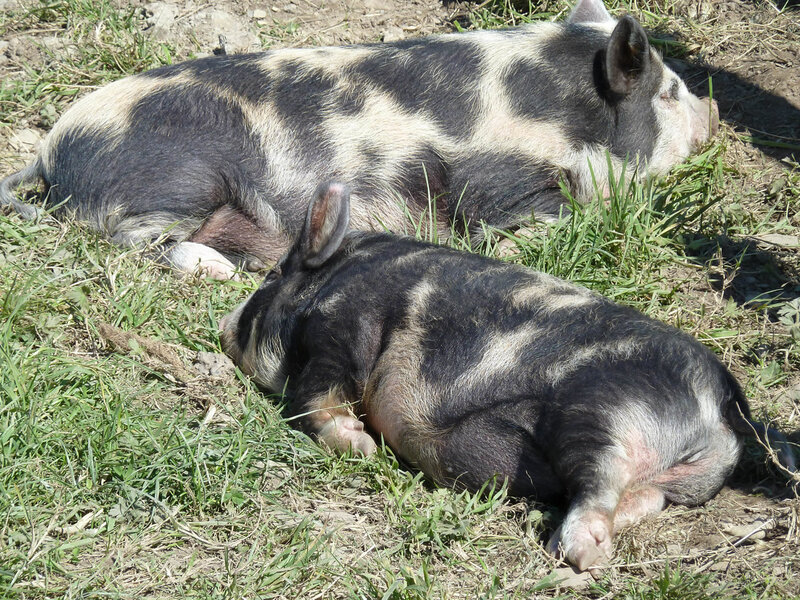 Our pigs love the sunshine, and sleeping (after eating of course). One has to get comfortable. 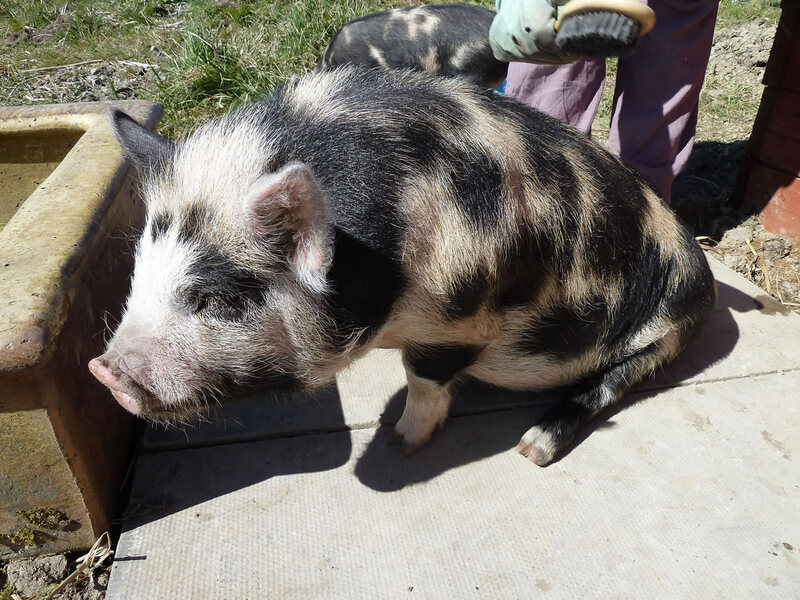 Amazon for pig oil and nearly everything else, just use search to find what you want.